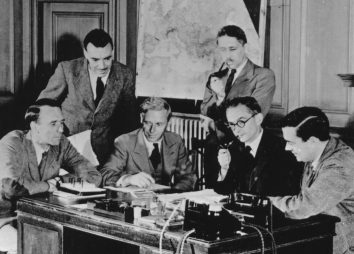 This website outlines the story of early radar development and its importance to the UK in World War II. It focuses on work in Purbeck, Dorset - which was the nerve centre for radar development from 1940 - 1942. It also tells something of the talented scientists who developed radar, explores the lasting legacy of their work, and gives details on where to find more information. In 1991 a few people interested in establishing a public record of this significant era of our history set up the Purbeck Radar Museum Trust. The Trust, run by volunteers and enthusiasts, sponsored this website as well as a reference library and a small radar exhibition which is now in the Swanage Museum & Heritage Centre in Dorset. 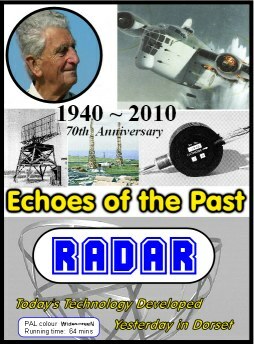 The Trust has also published various booklets etc about early radar. 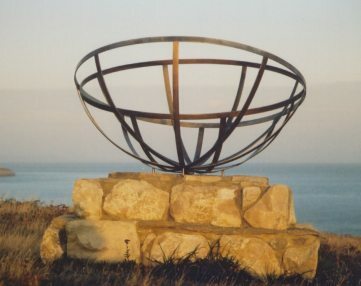 There is also a memorial to the wartime radar work at St Aldhelm's Head. Follow the links for a detailed introduction and contents for the website or to contact the Trust. New: special mobile phone summary page. Short biographies of some of the people who played a part in wartime radar development. Many of these talented scientists went on to forge eminent careers after the war - as evidenced in these notes. Many colleagues felt that Jimmy Rowe did not receive due credit for his pivotal role both initiating and leading the radar work. The 'More..' section gives signposts on where to go for more information about early radar development and has been substantially extended and rewritten - subsections: Introduction, Books, Book List, Library, Library List, Videos, Links, Publications. The fascinating story of Top Secret work on RADAR carried out in Purbeck 70 years ago during World War II. Dr Bill Penley, CB, CBE, one of our most distinguished engineers and a veteran of Worth Matravers, and Dr Phil Judkins, a radar historian, describe in non-technical language the top secret wartime work done at Worth. This story is brought to life by rare original pictures and visits to all the radar sites in the Purbeck area of South Dorset. 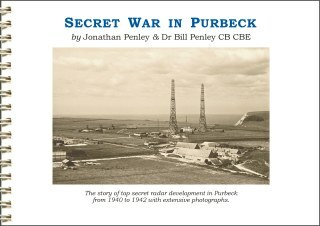 This non-technical booklet outlines the two years of top secret radar development in Purbeck during World War II. It features over 100 photographs and outlines key innovations which tipped the balance of the war going on to shape future industries and research. Exhibition Programme - click for details. 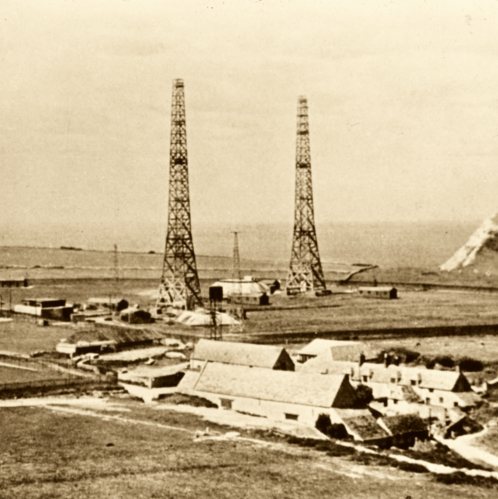 Did you work on radar at Worth Matravers? Do you have a relative who worked here? Do you have any photographs, information or memorabilia? If so - do please let us know by contacting the Trust. 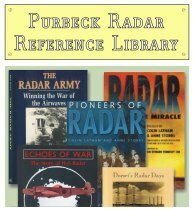 The Purbeck Radar Reference Library is a collection of books and other material relating to the early development of radar. It is housed at the Swanage Museum Local Studies Centre and is available to the public by appointment. For more details follow the link. A collection of personal reminiscences, photographs etc. from the early radar pioneers. This was assembled by Dr Bill Penley in the early 1990s with the aim of preserving archives for the benefit of future researchers. 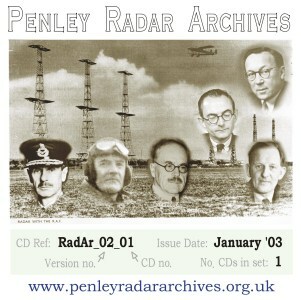 Some of the records have been scanned and saved on CD-ROM with an index available on the Penley Radar Archives website: www.penleyradararchives.org.uk (hosted as part of this Purbeck Radar website). Why was radar important in the war? Why did the radar work move away? What's left at Worth now?